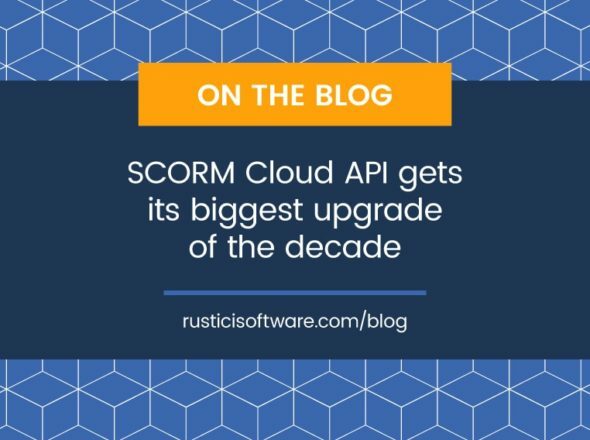 We’re still toiling away on the public release of the SCORM Cloud. A few folks have asked for application_id’s (the token that allows you to interact with the SCORM Cloud,) and we’ve actually shared them. We’re still very much in the alpha stage… although TestTrack has held up quite well under the Cloud so far. Reading Lifehacker this morning, I saw an interesting quote from Avner Rosen, founder of Boxee, that got me thinking about our Cloud work. While we’re obviously working in comparative anonymity to Boxee, there are some parallels. The first of you who integrate with the SCORM Cloud will need some assistance. I want to be clear right now that we are willing to provide that assistance. In that vein, we’re working away on a couple of first demonstration/documentation applications for you. Our first application will include the minimal functionality required to deliver training to learners. It will show you how to create the necessary connections to the Cloud via our client libraries and use the functionality embedded in the Cloud (creating courses and registrations). Emails will be generated, and the code will serve as a roadmap for you to extend it into your systems. Our second application will extend upon the prior Moodle proof of concept integration we’ve done. Rather than working against a hosted version of the SCORM Engine, however, the next version will integrate directly against the Cloud (eliminating the .NET dependency we happened to have the first time around). I’m really excited about what this might mean for Moodle folks who wish for better SCORM conformance. So, I implore you to ask for our help as we introduce the Cloud. We want to hear what you’re attempting to do, and we want to help you succeed in that. We understand that we, too, will have to do some of the legwork to get you rolling. If you demonstrate your commitment to the project, we’ll pay it back in kind.